Galloping towards recognition is going to be easier with this customized horse shape bottle opener keychain and you will know it better after employing it for value building during next tradeshow. You can stay assured of its long service, purpose and manageability. Created with durable aluminum, it is supposed to last longer than plastic keychain. 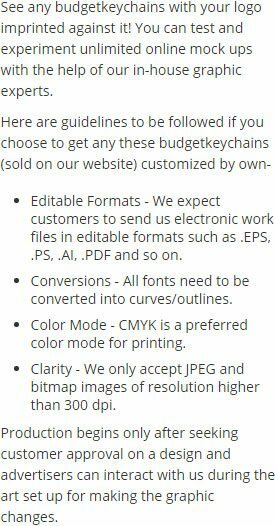 You can be avail exciting price cuts on ordering this bottle opener keychain in bulk and seek lifetime benefits from it. Makes a perfect tradeshow giveaway throughout the year. Request a quote to know about price savings on wholesale custom horse shape bottle opener keychain. 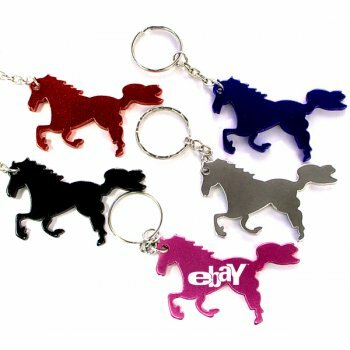 Features – Horse shaped bottle opener keychain with metallic finish. Product Size – 2 3/8" x 1"
Available Colors - Metallic Black, Metallic Blue, Metallic Red & Metallic Silver. Imprint Area :1" x 3/8"
Product Size :2 1/2" x 1 1/2"